I made the mistake two months ago of letting the Kirby people into my home. I thought I was just going to getting a free carpet cleaning, but ended up paying quite a bit more instead. While I did not plan to buy a Kirby vacuum, I do not regret my decision either. So here is just a quick review of whether the Kirby vacuum is worth the hefty price tag. How Does Kirby’s Vacuuming Compare? Before the Kirby, I though we had the top of the line vacuum with our Dyson. Back then I knew everything, I knew whether you should get a dyson 6 or 8. I probably would have become a salesperson for Dyson because I loved it so much. However, the Dyson paled in comparison next to the Kirby Sentria II when it came to the basic functioning of vacuuming. Now that I have been using the Kirby for a few months, there is a pretty big difference in the carpet. After I vacuum, the carpet it actually softer. The carpet looks brighter and cleaner after a vacuum too. How Does Kirby’s Other Functions Compare? The Kirby comes with a good variety of attachments. I do love that you can make quite a long hose with their attachments and clean ceiling fans, curtains, and other places you usually forget. What I do not like about the Kirby is that to use the attachment hose, you have to take of the vacuum head and put the hose on. With the Dyson, and most other vacuum cleaners, the hose it right beside you ready to pull out at a moment’s notice. However, this hose will not reach as high as Kirby’s hose. So obviously both vacuums have their advantages. I was also impressed that the Kirby can be used as a carpet cleaner. We had bought a Bissell carpet cleaner last year and paid a hefty $400 price tag. The Bissell cleans well, but it is also extremely bulky and heavy. 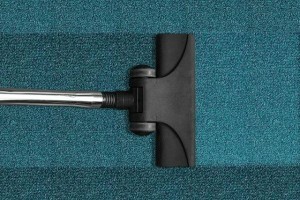 As a carpet cleaner, the Kirby is quite simple to use and cleans just as well as the Bissell. It is also more compact and not as heavy. Another thing that is notable about the Kirby is that you can detach and use just the head of the vacuum cleaner. This makes it possible to vacuum couches and mattresses. You can do this with a vacuum hose, too, but the Kirby head has a deeper suction than any hose. It is pretty gross how many dust mites and bed bugs the Kirby can get. The Kirby comes with attachments for upholstery cleaning and has the ability to inflate air mattresses and toys. For about $40, you can also buy the attachment that washes hardwood floors. There are a lot of things I love about the Kirby, and I think it is a superior cleaner to my Dyson and other vacuums on the market. However, I want this review to be as transparent as possible, so of course, I will share my dislikes. It’s heavy. The salesperson tried to make a point at how light the Kirby is, but it is noticeably heavier than the Dyson. The metal handle is also a little bit thicker, and my wrist is sometimes sore after a lot of vacuuming. My husband has no issue, though. I just would not recommend this vacuum for older individuals or those suffering from arthritis. The reason why it is heavier is because it is mostly metal, whereas the Dyson is part metal, part plastic (well, I think the newer versions are more plastic than anything). It can be confusing. Honestly, if I didn’t have a husband to explain everything, then I would not know how to use the vacuum. The vacuum comes with a helpful DVD, but if you are like me and would not take the time to learn how to change the bag or the hoses out, then a Kirby is not for you. It takes bags. I loved that the Dyson did not take bags. Having bags is an extra cost and hassle. That being said, thankfully the Kirby’s bags do not have to be replaced often. Probably about every 4-6 months, depending on how dirty your home was when you got it and how regularly you clean. So Is a Kirby Worth the Price? The answer to this question definitely depends on how much you pay for a Kirby. When the salesperson was first in my home, the price was just under $3000. Yikes! I just kept saying no, and the price lowered to $1090 (that included tax). Considering that the Kirby replaced my Dyson (bought for about $300) and the Bissell ($400), it was not that much pricier. If I had spent $3000 or put the vacuum on credit, then I might feel differently about the price. You have to take into several things when considering if a Kirby is worth the price. How much will this vacuum be saving you in the long run? If the Kirby extends my carpet and mattress life by 5+ years, then it has already paid for itself. Also, how long will the Kirby last? A well-maintained Kirby should last you 20 years, though there are many stories of Kirbys lasting much longer. Typically in 20 years, a household would probably replace their vacuum 3-5 times, depending on the quality of the model. You have to calculate the cost of replacing vacuums when comparing the price of a Kirby. A loan from Bad Credit Site might provide you with the quick cash you need until payday to buy your vacuum cleaner today. In the end, I think it is worth the price. If I am still loving this Kirby 10-20 years down the road, then I will surely be more convinced that the high price tag was worth it. Do you have a Kirby vacuum? Tell me your thoughts.